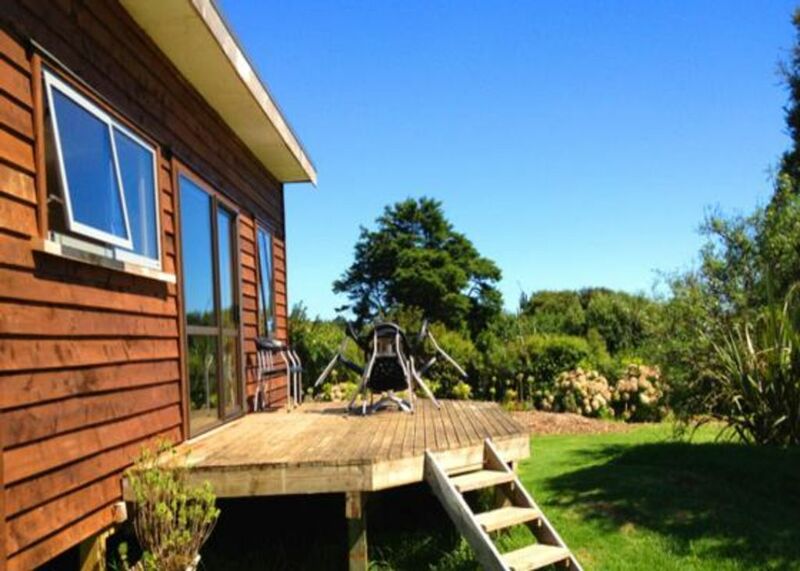 This two bedroom cottage is located at Solscape Eco Retreat. Quiet: 10pm: Quiet in all areas: many adults and children will be sleeping, and it is important that everyone is ensured the opportunity of a good sleep undisturbed by the noise of others. 11pm: Absolute quiet in all areas of Solscape. Alcohol: Solscape only permits a low level of alcohol consumption: no bringing large amounts of alcohol on site. Intoxicated people will leave immediately by taxi at their expense, or next morning when sober in their own vehicle, with no refund given. Location is beautiful, overlooking Manu Bay.